Color can add pizzazz, style, emotion, and life to your home. So choosing color can sometimes be stressful for some people. But here at Windo VanGo serving the greater Baltimore area, we’ve got a few ideas for ways to see color and to best choose what will work in your home. If you’ve been thinking of adding color—whether to the walls, to your décor, or in your window treatments—speak with one of our representatives today. Gray makes an impressive statement in any home. You can find it in flooring and on walls, cabinets, bathroom tile, kitchen backsplash, countertops, and window treatments. You can even find gray concrete kitchen sinks! Many people see gray as fashionable and even aspirational. It can convey seriousness, timelessness, dependability, and quality. If you’re going to add gray to your home, it’s best to use the shade that resonates the most with you. Warm grays are yellow-based, and cool grays are blue-based. Perfect for the bedroom, gray can be either warm or cool, with traditional, modern, cottage, or any style of bedroom retreat. Add values of gray from dark charcoal to light gray in bedding, draperies, and window treatments. Multiple shades of gray paired with complementary cool tones will create a peaceful space. 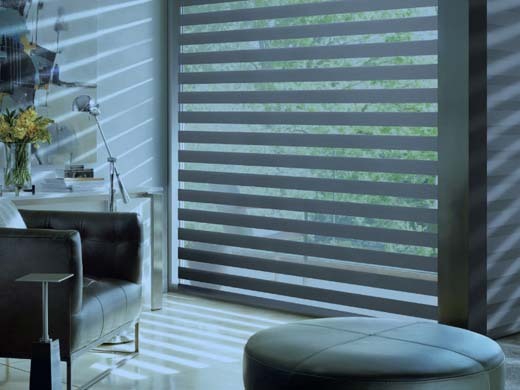 One way to achieve this is to add a cool window treatment, such as the Hunter Douglas Salt and Pepper hardwood shutter called Heritance®. You can select from a wide range of frame types that fit any décor. Or go with the Charred Wood colored vertical drape by Hunter Douglas called Provenance®. By adding a dark edge banding to the woven reeds, grasses, and woods, you will create a captivating conversation piece for any room in your home. 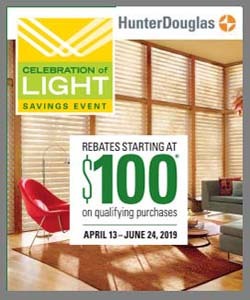 Windo VanGo is your premier Hunter Douglas Window Treatment specialist and supplier of Farrow & Ball premiere paints and wallpapers in the Baltimore, MD, area, with a gallery showroom in Marriottsville. We serve the counties of Baltimore, Baltimore City, Howard, Carroll, Hartford, and Anne Arundel including Ellicott City, Randallstown, Owning Mills, Timonium, Westport, Forest Hill, Annapolis, Bethesda, Chevy Chase, Gaithersburg and surrounding areas. Contact us today for a design consultation! We serve the counties of Baltimore, Baltimore City, Howard, Carroll, Hartford, and Anne Arundel including Ellicott City, Randallstown, Owning Mills, Timonium, Westport Forest Hill, Annapolis, Bethesda, Chevy Chase, Gaithersburg and surrounding areas. Please contact us today! Copyright © 2019 · Windo VanGo - Serving the Baltimore, MD Area.